I read about adult colouring and was immediately intrigued by it. While exploring the details of my new interest I discovered some of it’s benefits and I thought that it would be a really great method to use in order to relax after a long day or just in my spare time while home or at the beach. Seems like I was on to something, because Adult Colouring has become all the rave in recent times and I wanted to share it with you. As children we often enjoyed colouring. It was one of the fun things to do outside of going to a river or beach picnic but somewhere between childhood and becoming a teenager we somehow had to abandon it, as it is thought of as something solely children of a particular age should engage in. If you dared ever pick up a colouring book and crayons as a teenager or adult you’d be looked at as a weirdo. To my surprise colouring for adults has become a big deal and it is an encouraged activity for adults who want to find something to do while you unwind or when they are in need of some sort of relaxation. Stress Relief– colouring has been linked to reduction in stress levels as it is said to be linked to calming the amygdala which is the part of the brain responsible for fear or stress response. Colouring is said to be associated with anxiety reduction and stress related disorders. Some participants have reported that they sleep better after colouring about 5 minutes before bedtime. An Alternative to Meditation– while some people find meditation easy there are others who find difficulty in staying still for meditation. However, colouring does help with focus and concentration on the present activity. Adult colouring is said to produce similar effects in the brain to that of meditation. 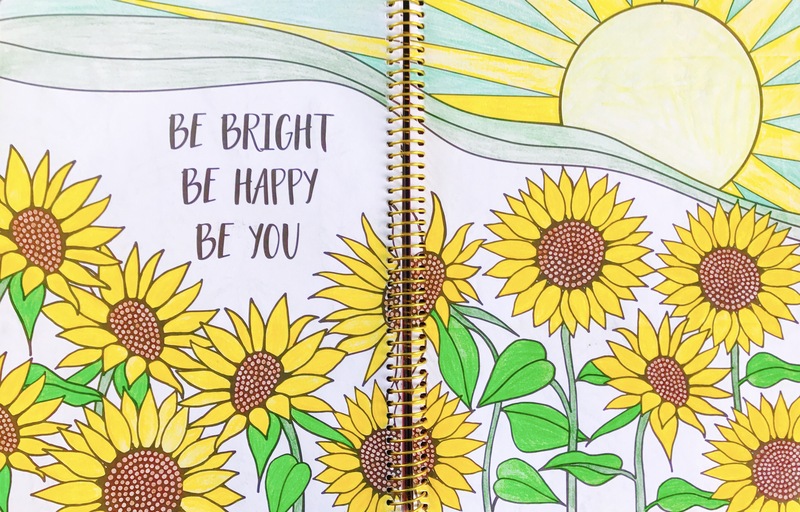 Helps in creating Focus and Mindfulness– the activity of colouring allows you to take a break, rethink your goals and refocus on the things that you truly desire. Sometimes in a hectic world all we need are some moments of silence and calm where we can spend time reevaluating our mission through a calming therapeutic activity. Also the art of colouring within the lines allows one to practice focus but not in a way that will produce stress within you. That way it trains your brain to focus and develop a sense of mindfulness. Colouring Allows You to Express Yourself– colouring gives you the avenue to fully express yourself and your creativity without being judged. It gives you the opportunity to spend time expressing who you are through colour, whether they are of vibrant hues or more muted and pastel colours. This encourages the concept of self love and that just as our various colouring artwork may vary this is how each one of us are different in our very own way, but somehow all very beautiful. From my Journal Colouring pages. We’re all trying to find ways to deal with this thing called life and to make the best memories and experiences. We’re all searching for true meaning to our lives and for us to live our best life now. Why not add some colour to your life today!!! Next postCareer Choices: Thinking Outside of the Box. 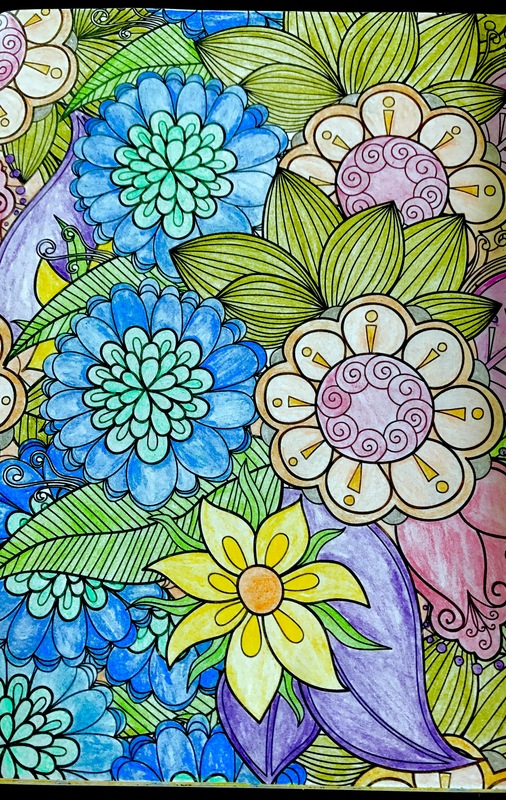 I absolutley adore adult colouring! Its how i find my inner peace! Brilliant read! Thank you! It is one of my fav things to do in my spare time. I’ve always colored outside of the borders as a child.. I can try to redeem myself now. It will be a relaxing challenge for me. I love adult coloring! My mother-in-law bought me some adult coloring supplies and I’ve been hooked ever since! Aaawww now that you’ve mentioned it that’s a lovely gift idea for a friend or family member. I will add that to my birthday and Chris gift ideas. I love coloring. Then again, I love making art! Tried this before but never achieved that kind of beautiful result you have. Want to try it again, but this will be a challenge with my son. I’ve been contemplating grabbing one of those mandala coloring books almost every time I’m in Micheal’s (a craft store). However, I never end up getting one because something in me felt it was childish or silly. I think I should grab one. Yours came out beautifully! I love colouring – it’s so relaxing and I agree it is a form of meditation if you allow yourself to become completely absorbed in what you’re doing.